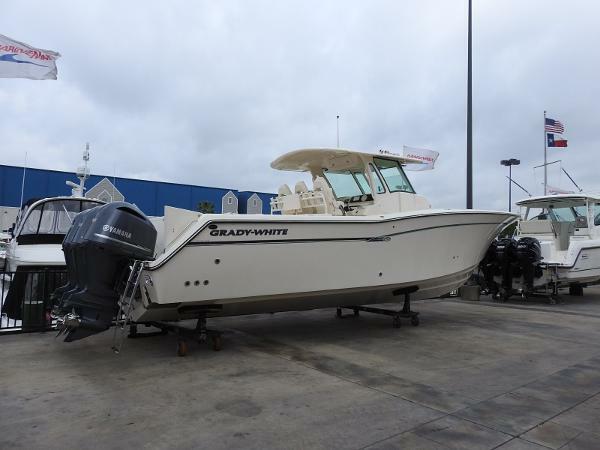 2017 Grady-White Canyon 376 New in stock model equipped with triple Yamaha F 300's and the following options: Options: A/C, refrigerated cockpit cooler, 19 TV-flat screen with DVD player, water heater w/hot cockpit, diesel generator, grill in lean bar, microwave, raw water live well, gel coat-sand, underwater lights, forward seating backrests. 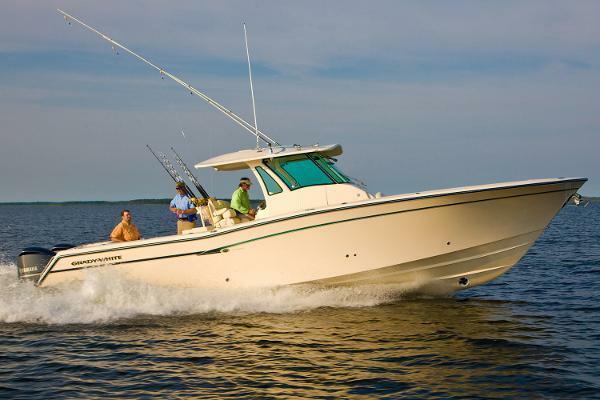 2017 Grady-White Canyon 376, The 37-foot center console Canyon 376 is an awesome saltwater sport fishing boat, simply a masterpiece in the category. Exceptional detail shines in boat ergonomics, boat function, fit and finish, and in boat performance. The cabin console boasts a higher level of detailed comfort. Gradys exclusive SeaV2 ride is incomparable. 2017 Grady-White Canyon 376 The 37-foot center console Canyon 376 is an awesome saltwater sportfishing boat, simply a masterpiece in the category. Exceptional detail shines in boat ergonomics, boat function, fit and finish, and in boat performance. The cabin console boasts a higher level of detailed comfort. Gradys exclusive SeaV2 ride is incomparable. 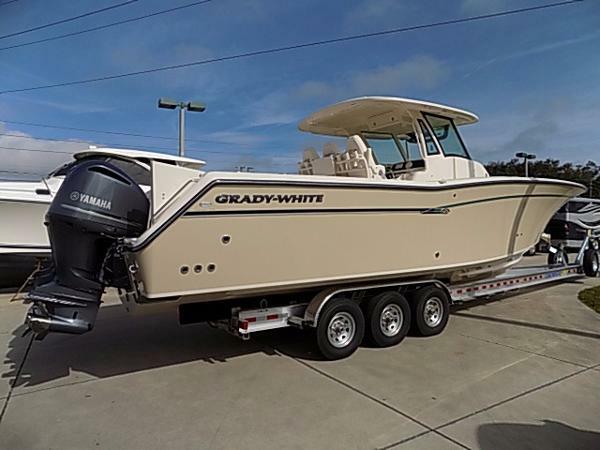 2017 Grady-White Canyon 376 2017 Grady-White Canyon 376 powered by triple Yamaha F350 engines with Helm Master joystick control. This boat has it all for the serious fisherman! 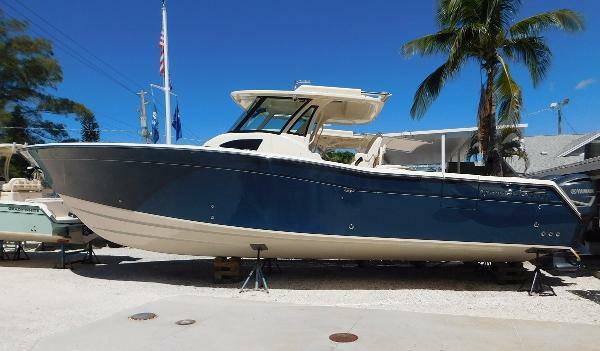 Options include: harbor blue hull color, side dive door in cockpit, 5KW diesel generator and air conditioning, aft fish box with freezer plates, outriggers, underwater lights, Sureshade electric retractable shade, and much more. 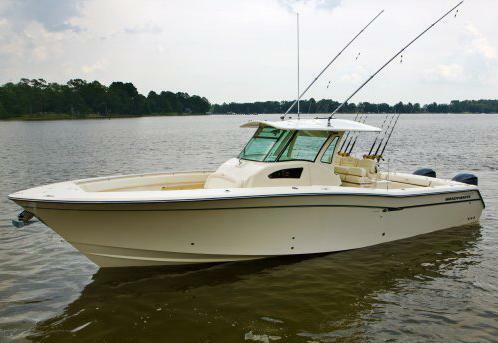 Boat has an air conditioned cabin inside of the console with a 19" flat LCD TV, full head and plenty of storage. Come see the flag ship of Grady-White fishing boats at Cannons Marina today. 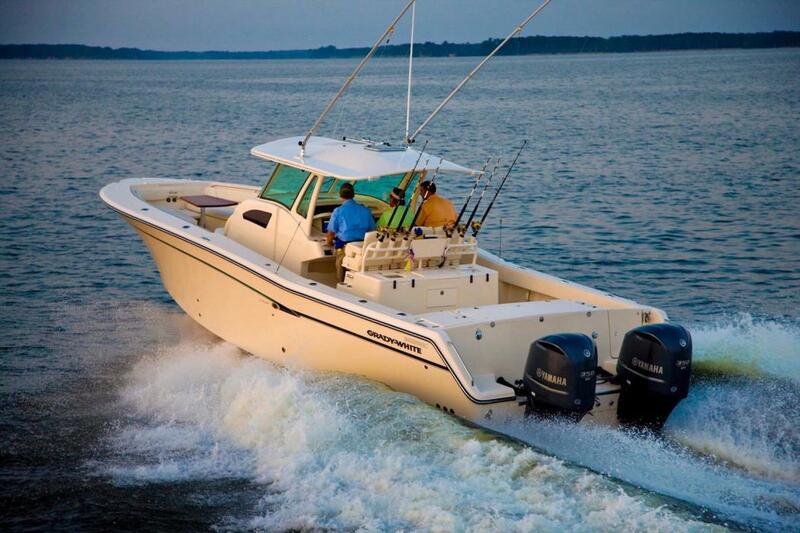 2016 Grady-White Canyon 376 The 37-foot center console Canyon 376 is an awesome saltwater sportfishing boat, simply a masterpiece in the category. Exceptional detail shines in boat ergonomics, boat function, fit and finish, and in boat performance. The cabin console boasts a higher level of detailed comfort. Grady’s exclusive SeaV2 ride is incomparable.